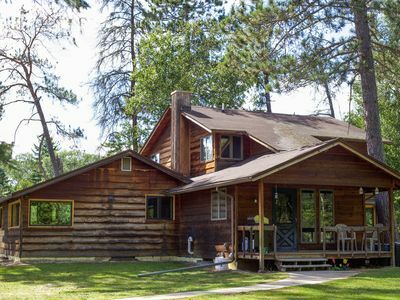 2 bedroom cabin on 100' feet of south facing, prime Crane Lake lake shore with your own private dock and yard. 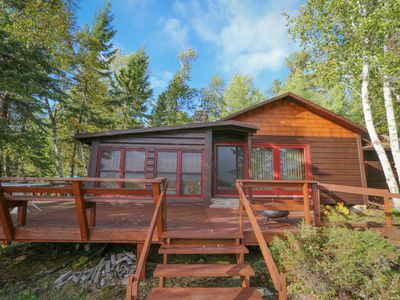 This cute cabin will offer privacy and comfort on the edge of the wilderness. 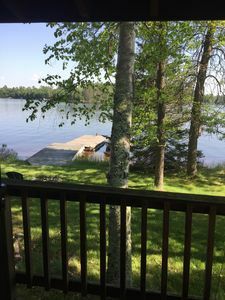 Boat from your dock to Voyageurs National Park, BWCA, and Canada. You do need a boat to access this property. Bring your own boat or contact us for rental recommendations. The rate of $150 per night is based on 2 people, additional persons are $25 per night. Front bedroom has a king-size bed (or 2 twins), back bedroom 2 twins. Oversized shower in bathroom. 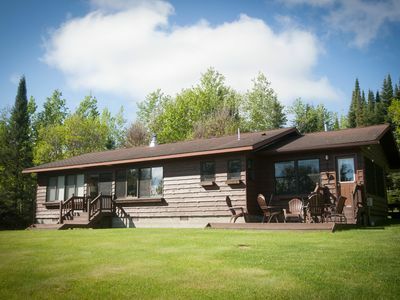 Full kitchen with all amenities including dishwasher, drip coffeemaker, microwave, toaster. Living room has a sleeper sofa and satellite TV and FREE WIFI internet. Well water is potable. Charcoal grill, picnic table, campfire ring and firewood, 4 lawn chairs as well as your own dock and beach round out the outdoor amenities. Extension cord provided outside for charging boat batteries. Bed linens are provided, but no maid service is available. Personal towels are NOT included in this rental, please bring your own. All kitchen towels and dishcloths are provided as well as dish soap for hand washing and dishwasher. Good potable well water in kitchen and bathroom. 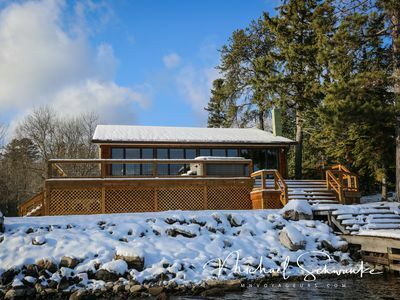 Lake living at its' finest at Crane Lake. Take your boat to nearby restaurants, gas stations, bait shops, gift shops, and convenience stores. 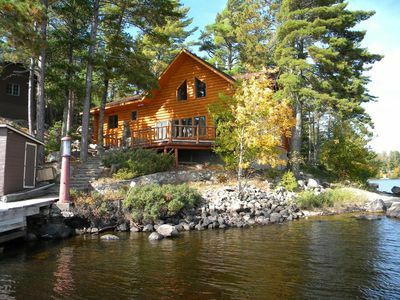 Then take off up the lake to the wilderness of Voyageurs National Park and Canada. Parking for your car and boat trailer is available at 2 different public boat landings in Crane Lake. Both boat landings are located off the Handberg Road. Generally, the public landings are safe, but if you want added security you can park at Handberg's Marina. They do charge for parking, but if you rent your boat there, the parking would be included. Fantastic fishing right off your own private dock. Watch the northern lights from your front yard next to your campfire. You won't be disappointed with this delightful cabin. 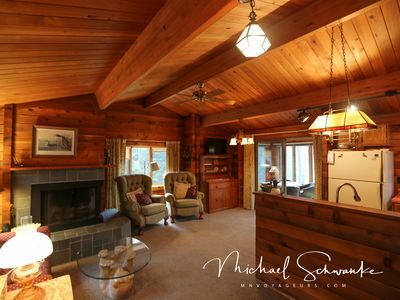 All the comforts of home await you here in the north woods. 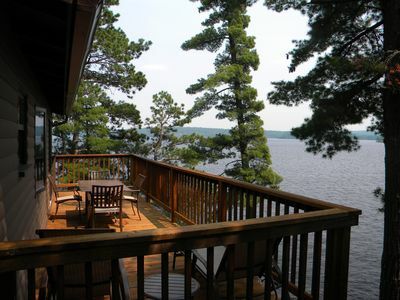 Or if you want a rustic experience just look out the window at the beauty of the lakes and woods of northern Minnesota. 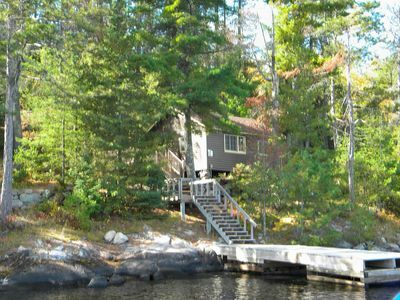 Bayside Retreat - Voyageurs Ntl Pk, Bwca, & Canada - FALL DISCOUNT begin Sept.